6. Who benefits from prestige projects? 7. Democracy in Birmingham: consultation – what consultation? Friends of the Central Library – what next? The Times reports that housing developments in Birmingham have benefited from billions of pounds of new investment attracted by the prospect of HS2, the high-speed rail line that is planned to connect London Euston to Birmingham, Manchester and Leeds from 2026. “Decades of central government’s neglect of housing policy, a chronic lack of funding for social housing and gentrification have meant that Birmingham is becoming a harder place to live for low income people and families. In central areas like Aston and Nechells, rent and house prices are increasing: residents are living in overcrowded homes and flats and paying through the nose to do so”. Though the council has identified 38% of the city’s overall housing requirement as being for affordable housing . . .
NEF asserted that the housing crisis in Birmingham is underpinned by a lack of land for affordable housing in the city, exacerbated by the Government’s current policy of selling off public land. It added that last year its research found scores of sites for sale in Birmingham to plug holes in the budgets for public services, offered by the Department for Health and public bodies including the Local Authority. No reference was given and an online search failed to find the source. It reported that in Aston, Nechells and the Frankley and Northfield areas, individuals have set up groups with their friends, family and neighbours to start building a community-led response to the housing crisis, developing relationships with housing and planning experts in their city and beyond. For the more prosperous, Birmingham’s property market is ‘booming’, according to Britain’s biggest mortgage provider, the Halifax and the data firm IHS Markit. Its associate director said the West Midlands stood out from a market that was cooling because of “affordability constraints” as it had also been buoyed by strong economic growth, with business surveys showing the region as the best performing part of the UK in terms of activity”. 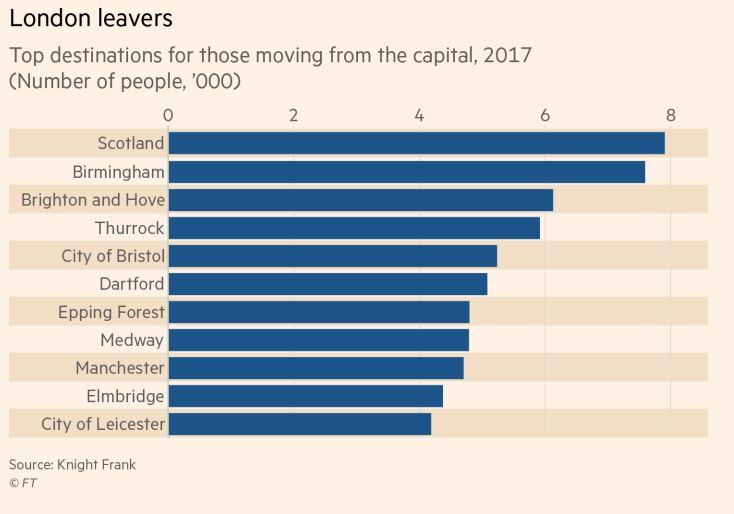 As the “ Drift from the capital” chart (above) showed in FT Money (July 7), the English city that attracts those who leave London is Birmingham. Richard Batley, Emeritus Professor, University of Birmingham, writes: “Those leaving London are heading for Birmingham. A fair comparison of the metropolitan regions would show that the growth of house prices, net foreign immigration, the proportion of the population claiming benefits and “cultural offerings” per 100,000 residents would all move in Birmingham’s favour”. Earlier in July, the Mail reported the findings of an editorial partnership between Birmingham Live and HuffPost UK. Figures they obtained in a Freedom of Information request show that of the 4,768 houses approved for development in 2016/17, just 425 approved were lower cost housing. House builders are being allowed to sidestep rules on affordable housing if they can show that providing discounted homes would stop the development making a profit. 2012 graphic drawing on Shelter and the Resolution Foundation figures here. 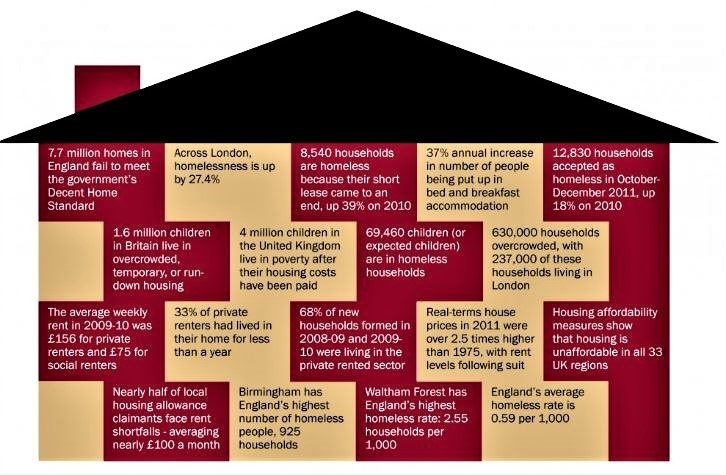 Meanwhile city residents on lower incomes can’t even get on ‘the first rung of the housing ladder’ or afford rents in the private sector, and those who manage to get on the social housing list face many years’ delay.